Best Night Vision Goggles of 2019: Do NOT Buy Before Reading This! Are Cheap Night Vision Goggles That Work? How to Use Night Vision Goggles? Armasight is another well-recognized brand of night vision devices. The company is known as a leading manufacturer of various high-quality night vision and thermal imaging devices. Armasight packs its new products with cutting-edge technologies and various innovative features. This is well reflected in the Nyx-7 Pro 3 Alpha Gen 3 goggles. 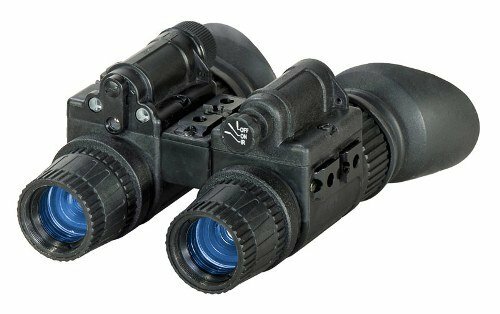 Armasight has manufactured Nyx-7 Pro 3 with a particularly rugged and sturdy design, allowing you use to it in rough and tough conditions without fear of incurring any damage to the goggles. A key feature of the Nyx-7 goggles is that they come with multiple long-range focus lenses. The options include optional 3X A-focal, 5X and 8X magnifier lenses, allowing you to view clearly in the dark over exceptionally long distances. A great thing about these goggles is that they come with a high-light cut-off feature which means that when the lenses are exposed to a light bright enough to damage them, the built-in feature automatically protects the image tube. Even in extremely dark conditions, Nyx-7 delivers a very bright and clear image. Armasight has also included a built-in Infrared illuminator in these goggles, allowing a user to comfortably move around and navigate his immediate terrain without having to take off the goggles. These goggles offer 60 hours of battery power once charged, allowing you to use them on extensive outdoor excursions without any worries. They also feature an automatic brightness control and come with an ergonomically designed headgear which can be comfortably mounted and dismounted. The headgear allows for a convenient hands-free usage of the goggles. Nyx-7 is also waterproof which means you wouldn’t have to worry about using it in wet conditions such as in a rainy weather. Another notable feature of Nyx-7 is that it can be used in conjunction with a camera which makes it incredibly useful, especially to law enforcement and military personnel. ATN is one of the foremost brands when it comes to quality night vision goggles. 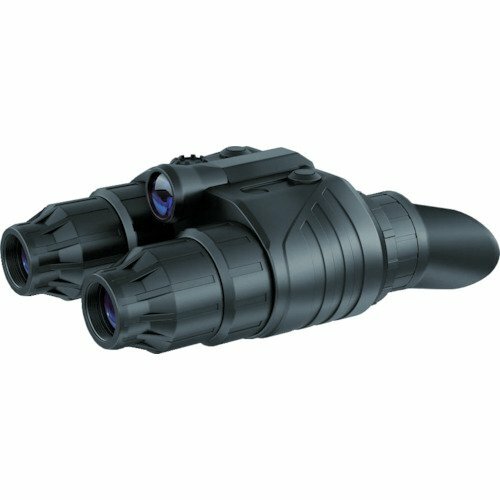 The company has been around for decades and its name is considered synonymous with quality night vision devices. This commitment to quality is well reflected in the PS15-4 GEN 4 night vision goggle system. 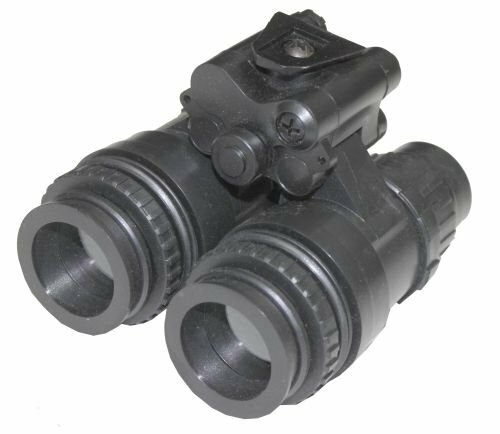 The PS15-4 GEN 4 night vision goggle systems comes with dual eye-pieces to offer a more clear and comprehensive view. The device features image intensifier tubes which are able to provide a very clear view of an object even in very dark conditions. In addition to a very crisp image quality, the device also offers a far better depth perception, enabling the users to get a true feel of the distance of various objects being viewed. To top it, ATN has included a built-in infrared illuminator in this goggle system. The IR illuminator allows a user to easily read a map even in extremely dark circumstances. One of the stand-out features of most ATN night vision goggles is that they come with high-quality and incredibly comfortable headgear. The PS15-4 GEN 4 is no different. It ships with a comfortable and incredibly intuitive-to-use headgear which can be easily flipped in front of the viewer’s eyes and away from it when needed. The entire goggle system is fully water-proof which means that you wouldn’t have to worry about its performance even during rough and tough conditions or under a rainy sky. The goggle system offers a 40-degree field of view and comes with automatic brightness control, requiring minimal tweaking on the part of the user. The battery life of this goggle system is 40 hours, allowing you to use it extensively on outdoor excursions without worrying about running out of power so you can rest assured that this is going to last you a while and may become a favorite companion for night vision requirements. Armasight has such a vast range of high-quality night vision goggles that another of them has made our list of top 3 best night vision goggles. Where the Nyx-7 goggles above offer a high-end goggle system and premium performance geared towards professionals and law enforcement personnel, the Spark-G Night Vision Goggle is a more budget-friendly product and is meant more for the casual enthusiasts of night vision systems. 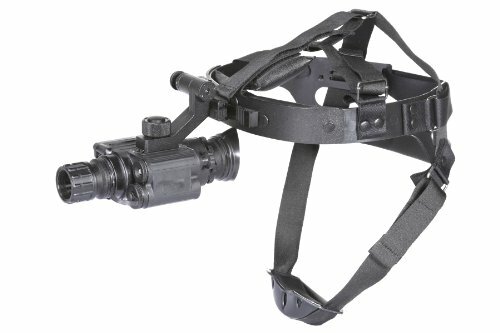 This is a Gen 1 night vision goggle with several innovations and improvements from Armasight. Notable among these is the Ceramic Optical Ruggedized Engine (CORE) technology which makes use of alloy-fused ceramic compounds in the construction of the image intensified tubes. 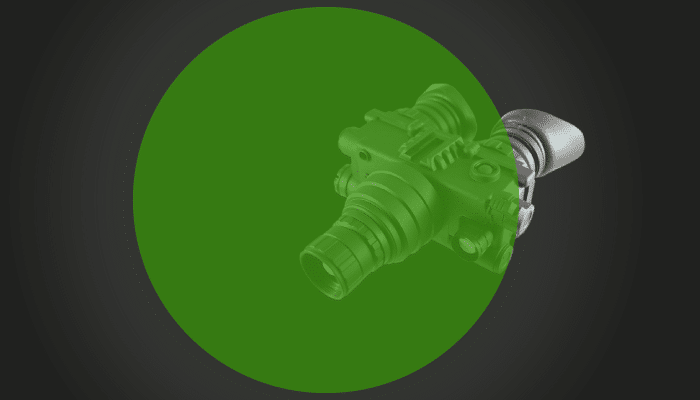 This feature alone makes Spark-G stand apart from other Gen 1 night vision products. Thanks to the use of CORE technology, the image intensifier tube in Spark-G is significantly durable, shockproof and resistant to vibrations. Armasight has also use a more streamlined and well-packed overall design for this product which makes sure that it is able to withstand rough and tough usage without incurring any significant damage. Spark-G night vision goggle offers a 30-degree field of view and comes with a built-in infrared illuminator, allowing a user to easily operate and move around in the dark while wearing the goggle. The product comes with a battery life of 40 hours which is sufficient for even the most extensive nighttime outdoor excursions. The overall design of the goggle is waterproof and weatherproof, making it an all-weather night vision device. Armasight offers the Spark-G goggle with an ergonomically designed and comfortable headgear which offers a very convenient hands-free usage of the goggle. Weighing merely 0.37 kg and, Spark-G goggle is certainly one of the best Gen 1 night vision goggles out there. The Night Optics USA Guardian 1x is a generation-one night vision goggle. 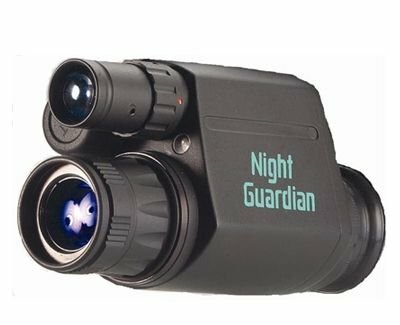 It uses the basic night vision viewing system of a generation one device but delivers a good quality and reliable performance in low light conditions. The Guardian 1X goggle is specifically designed for use in tactical operations. The design of the goggle makes it perfectly suitable for mounting to a head gear. It is a mono-goggle, so you can easily position the single goggle in front of your left or right eye while keeping your other eye free for regular viewing. Particularly suited for tactical situations, this allows you to view your surrounding field in real view as well as in night vision. The monocular features light-gathering lenses which are multi-coated for additional performance and have a very compact profile. The compact profile of the lenses means that they deliver a good quality while staying light-weight at the same time. One of the most stand-out features of this goggle is versatility. The goggle ships with flip-up commercial headgear. So you can go from holding the goggle to use it with a head mount within no time. This is particularly useful if you are going to use it in emergency or sensitive situations. The powerful built-in IR illuminator allows you get a good view even in cloudy weather. The Pulsar Edge GS Super 1+ is an excellent, yet affordable, night vision goggle. It can be used as a standalone device or you can use it with a head-mount to free your hands while using it. The Pulsar Edge uses decent quality optics and a CF-Super Image Intensified Tube. These internal specs enable this goggle to work quite effectively in low-light conditions. The lenses are multicoated which adds to their performance and makes the goggle deliver a quality image. Pulsar is a noted manufacturer and is known for producing quality night vision devices. The company has used R-contact optical system in this goggle to deliver a decent night viewing quality. The goggle also features a built-in bright source protection feature. This feature automatically protects the lenses of the goggle when exposed to any bright light. The built-in IR illuminator of the goggle has energy-conserving abilities and comes with variable power options. You can choose an option that best suits your night viewing needs at a given moment. The eyepiece of the goggle features a wide-angled five-lens view. This enables you to clearly view the field in the dark without any distortion or limitation of view. The image is also high-resolution and lets you clearly view in low light conditions. The Sightmark Ghost Hunted is another quality night vision goggle that delivers all the key features of a good night vision goggle while staying quite affordable. This is an entire kit that features the goggle as well as the head mount. So you use this goggle with a head mount and free your hands to do other tasks such as carry another object. Ghost Hunter features a dual-tube system that lets you get a more comprehensive view of your surroundings during low light conditions. The overall design of the kit is such that it sits comfortable on your eyes and the head gear doesn’t put any strain on you either. This makes this goggle particularly handy if you are going to use it for long periods. The goggle comes with a built-in IR illuminator that helps you view in exceptionally dark situations. The IR illuminator delivers an excellent performance within the 40 to 50 yard area, letting you view very clearly. The Ghost Hunter is also very light-weight and compact which adds to its appeal as a handy goggle to carry around or mount on your head when you want clear viewing in low light conditions. The Night Owl Tactical Series G1 night vision goggles are specifically geared towards tactical activities in low light conditions. These goggles come up with very well-designed head mount. With push button mounting, you can quickly mount the goggles to the head mount. When you want to get a regular view, you can simply flip up the goggles. Alternatively, you can detach the goggles from the head mount and use as a handheld binocular. The goggles feature an enhanced depth perception thanks to its 1.4 F lenses. The 1x magnification allows you to zoom in and get up close with the objects you are viewing. The goggles also feature a light sensor. This sensor automatically detects over-limit amounts of light which may damage the intensifier tubes and immediately shields the tubes from the light. The goggles themselves are quiet compact and light-weight. So whether you are carrying them in your hands or have them mounted on your head, their weight is quiet comfortable. For very dark conditions, the goggle features a built-in IR illuminator which lets you a very clear view on moonless or cloudy nights. The power supply of the goggles comprises of 1.5 volt Type-N batteries which provide 40 to 80 hours upon a single charge. 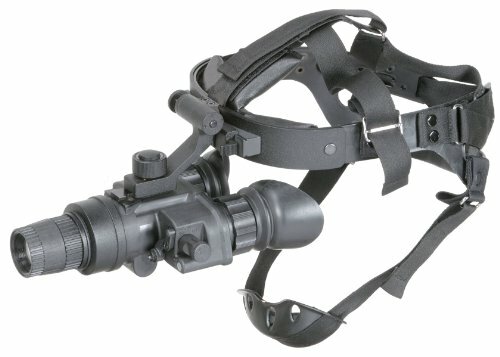 The Lancer Tactical AN/PVS-15 Replica night vision goggles are the most affordable goggles on this list. As their name states, they are a replace of night vision goggles. This means that they don’t exactly work but if you want night vision goggles for movie props, display or for some other reason, they are the way to go. The great thing about these replace goggles is they have been designed with an eye to detail. They feature all the visible features of real goggles. The overall construction is quite durable while the goggles are very light-weight. This makes them ideal for use in military simulation costumes or as movie props. The goggles are also designed for use in combination with helmets and night vision goggle head mounts. Specifically, the headgear that accepts dovetail attachment accessories can be used to mount these goggles. The price range for night vision goggles so high. Cheap night vision goggles may seem like a poor choice but the fact is that many of them deliver a good degree of genuine performance. 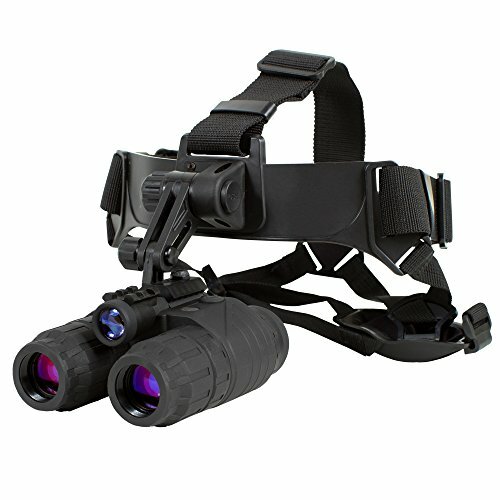 Most of the night vision goggles listed above come with all the standard features such as the ability to let you view clearly at night, IR illuminator to help you discern in complete darkness and the ability to be used on a head-mount. These goggles basically perform most of the functions offered in more expensive goggles but on a more humble scale. So for instance, they do offer magnification but not as much as a more expensive goggle. Similarly, they let you view clearly in complete dark using IR illuminator but the range of their IR illuminator is comparatively less than their more costly counterparts. Cheap night vision goggles are a good choice if you don’t need night vision for very serious conditions. 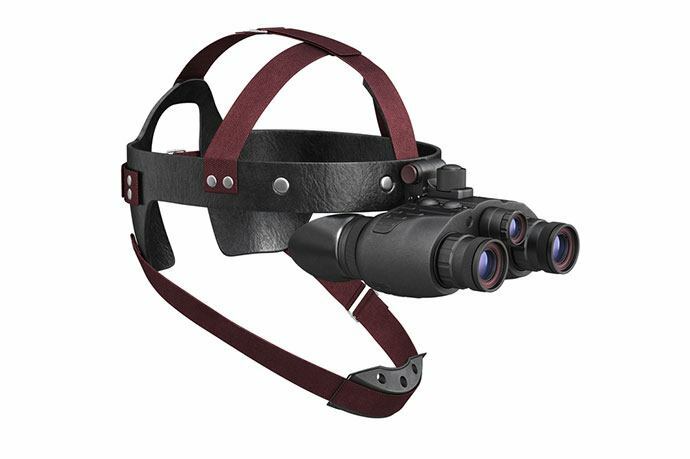 For instance, if you are going to perform relatively harmless surveillance or tactical activities in the night or even hunting and wildlife viewing, these goggles offer good value. They have slightly limited range but within that distance range, they perform rather well. And it goes without saying, they offer a great value for your money. If you are new to using night vision systems, you should definitely start with one of the cheaper night vision goggles. However, if you need them for serious purposes, such as apprehending criminals as a part of law enforcement activities or for real military situations, they obviously fall short of the mark. This is simply because they are not designed for such purposes. They are ideal when you do not move a lot when using them and when you don’t have to look in the dark over long distances. They are also comparatively light-weight and more compact than more expensive goggles, so carrying them is more convenient. Night vision goggles usually come with a head gear. Once you mount the gear over your head, the goggle should sit directly in front of your eyes. This allows you to comfortably view through the goggle or to wave it away from your eye view when required. The technology inside the goggles essentially makes use of a lens to amplify the amount of light in the scene. The lens is usually sensitive enough to amplify even ambient light, such as moonlight or starlight and use it to illuminate an object which may otherwise be undetectable in the dark. A wide range of night vision goggles are available in the market and they vary significantly in terms of their performance, quality, price and other features. Following are some of the key factors to consider when purchasing night vision goggles. 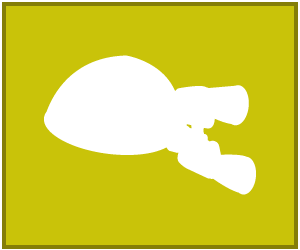 Different night vision goggles have different ranges. Some may be able to magnify and clearly capture objects that are at a significant distance. Others may be limited in their reach. Night vision goggles usually have a magnification factor of 1x, 2x or more. The higher the magnification factor, the longer is their range to be able to capture distant objects clearly. However, a downside to goggles with longer range is that they may perform poorly in low light conditions. So a good pair of goggles is usually a compromise between range and quality of the captured object, depending on your requirements and needs. Gain refer to the degree to which a night vision goggle can enhance and clarity an image in darkness using whatever ambient light is available, such as light from the moons or the stars. As a general rule of thumb, the longer is the range of goggle, the poorer is the gain as magnifying objects situated at longer distances can blur the focus and clarity of the view. A good night vision goggle usually strikes a balance between the range of the lens and the gain, providing a well-magnified yet clear image of the object being viewed. The quality of the image as perceived through a night vision goggle needs to be good enough so that you can view the objects clearly. Goggles with higher resolution typically let you view objects in the dark more clearly and distinctly. A quick way to discern the image quality of a night vision goggle is to see if the center and the edges of the object being viewed are displayed sharply by the goggle. If they are sharp, the goggle has a good image quality. Most, if not all, night vision goggles are usually used with a head gear. Such a gear may come with straps and other equipment to adjust the goggles in front of your eyes. A key consideration when choosing the right night vision goggles should be to make sure that this gear is comfortable and allows you use the goggles with ease and comfort. As stated above, a huge range of night vision goggles are available out there and you should consider various factors when finding the right one. General things to consider when purchasing the right goggles include your budget range, your needs and other preferences. Specific factors to consider regarding the performance of the goggles are listed above. 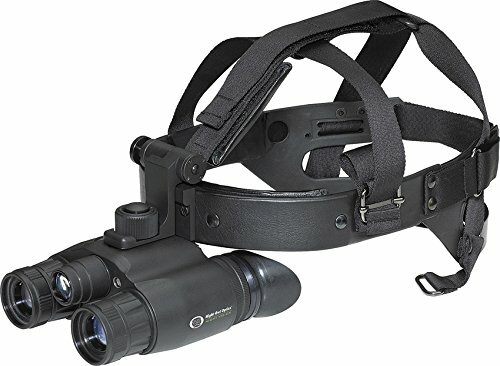 The top 3 list of best night vision goggles and top 5 cheap night vision goggles 2019 provided above includes some of the finest night vision goggles currently available in the market. If you are looking for a more professional-grade goggle system, the ATN PS15-4 Gen 4 and the Armasight Nyx-7 Pro 3 fit the bill well. If you are more of a causal enthusiast and want a quality night vision goggle without dishing out thousands of dollars, the Armasight Spark-G and Night Optics USA Guardian Gen 1+ goggle suit your needs better.